"Project for Vienna Chimney  Alternative Site 1"
one of three proposals. Oil paint on c-print on aludibond, 82x102 cm, 2000. The location is the Minoritenplatz, behind the Prime Minister's office. The chimney was meant to to be 15 m high. The project was aborted. 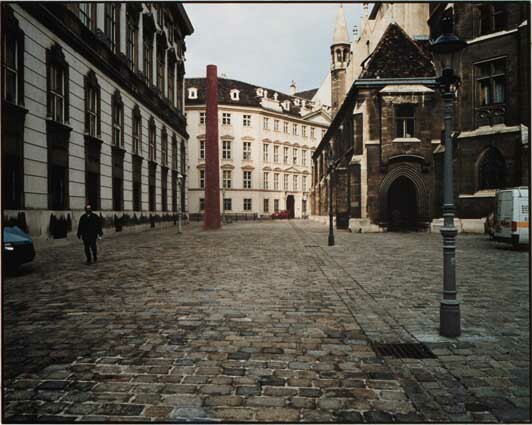 It was first presented in the exhibition Norden, Kunsthalle Wien, summer 2000.